This is the fourth year Cuisine and Company has been honored to cater the VIP tent at the finish line! 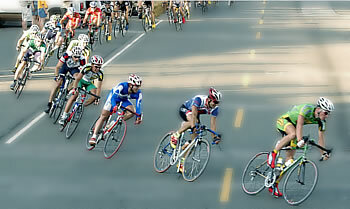 The 11th annual Tour de Delta will be held July 8th to 10th in 2011. Tour de Delta is proud to partner with Giro di Burnaby and Tour de White Rock to provide two weekends and seven great days of cycling action. ‘BC Superweek’ will impress cyclists and spectators alike. This year will see a change in the North Delta segment, which will now be the MK Delta Lands Criterium; a race ’round the streets of the Social Heart area. Tour de Delta was introduced to the cycling community in 2001 with the inaugural event attracting more than 200 professional cyclists from across Canada, the U.S. and New Zealand. Since that time, with great weather, challenging courses and enthusiastic spectators, the Tour de Delta has been an annual success. Visit the Tour de Delta website for more information on this exciting event.